Only a handful of individuals ever make it in the world of professional racing. Only a minute few of those who do make it, experience the devastating effects of becoming seriously injured, with the inevitable collapse of their life’s dreams. Imagine the trauma and torment of losing it all, only to be accused of having deliberately constructed the event of your downfall ... by the Crown! 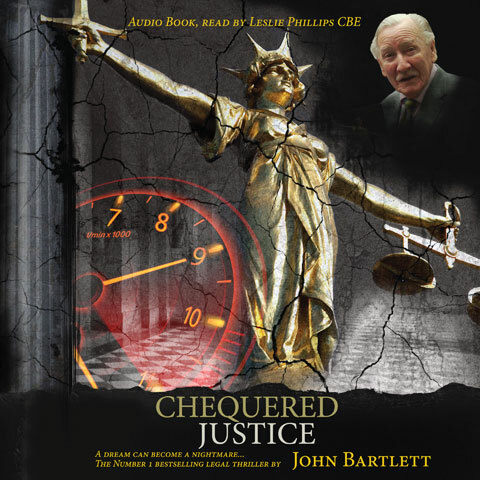 Chequered Justice is the story of a court case that many say should never have been heard and, some say, couldn’t have happened – and yet ... Chequered Justice is a story inspired by true events! Will Middleton lives to race. More than just a sport, more than a hobby, it's his first love, his livelihood, and the centre of all his dreams. Thatcher's Britain is in meltdown, yet despite the deepening recession, Trans-Atlantic, his new racing team, has just pulled off a major coup - sponsors are queuing up, nothing can go wrong now, surely. Howard Marks aka Mr Nice: F…ing first class! Innovative, engaging, witty, suspenseful, different, superbly written, moving, interesting, and everything else.... It’s as bold and innovative as its author. Chequered Justice gives the reader a breath-taking guided tour of race-track suspense, lifts the lid off lethal insurance brokers, exposes the bent nature of law enforcement, and dives into the depths of emotional whirlwinds. I loved it! Ed Foster, Associate Editor MotorSport: A fantastic read whether you’re a racing fan or not - a proper page turner... Highly recommended! Filesize is 2.26 GB. Please be patient while file downloads.